The all new Maruti Suzuki Ertiga has emerged as the best choice for a family that is moving from an entry level sedan to a bigger vehicle that has decent features and excellent performance. It offers flexi-seating to accomodate 7 people with a lot of baggage. 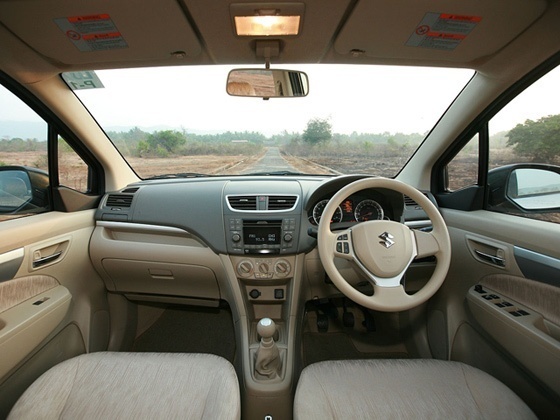 Despite its compact frame, this ample space is the unique feature of Maruti Ertiga. It is essentially a lengthened Swift hatchback MPV. Priced between Rs 5.89 Lakh to Rs 8.45 Lakh the new Maruti suzuki Ertiga has opened doors to a parched premium people carrier segment in the country. Petrol Variant comes with K14B1373 cc VVT Engine with power 95ps@6000rpm and Torque 130nm@4000rpm with a Fuel efficiency of 16.02 kmpl. The base petrol variant of the car, Ertiga LXi features like power windows, power steering, body colour bumpers and air conditioning are expected to be assimilated in it as standard features. Priced in Rs 5.89 LAkhs. This is the mid level variant of Ertiga in India and comes with standard features like central locking, electrically adjustable ORVMs, keyless entry, adjustable headrests and ABS with EBD. Priced in Rs 6.60 Lakhs. It is the top end petrol variant of Ertiga in the domestic market. Notable features that distinguish it from other variants of the model include airbags, leather seats, music system and steering wheel and gear knob draped in quality leather. Priced in Rs 7.30 Lakhs. The base diesel version of Ertiga in the country will share all the features with the LXi variant of the car. These include manually adjustable Outside Rear View Mirrors (ORVMs) and multi trip meters. Priced in Rs 7.30 Lakhs. Ertiga VDi variant in mid level diesel variant of the car in the domestic market. The host of features present in the model include rear armrest with cup holder, tinted glass and folding rear seats. Priced in Rs 7.90 Lakhs. The top diesel model in the Ertiga line up, it includes various features that are not present in its siblings, such as rear air conditioning vents, steering mounted controls and fog lamps. Priced in Rs 8.54 Lakhs. 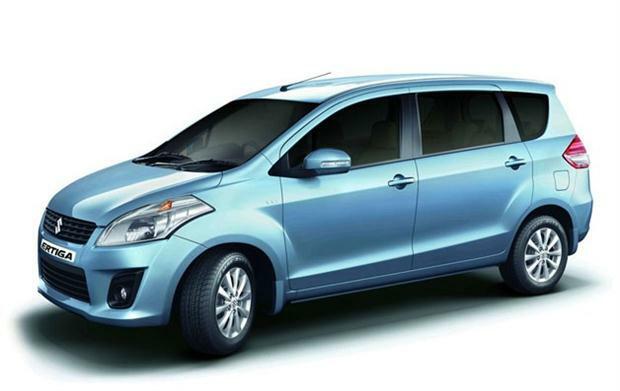 0 Response to "The wait is over: Maruti Suzuki Ertiga has Launched"